In 1996, Patricia was drawn to the emerging spa industry in Cabo San Lucas, Mexico where she presented her Holistic Massage to the Melia Resort’s Avanti Spa. In 1998, at the request of Angel Stewart, spa director of Las Ventanas al Paraiso Resort, Patricia introduced her “Wholistic Crystal Healing Massage” onto the menu of this world famous spa. 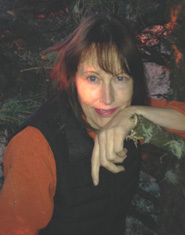 At the ISPA 2001 conference in Palm Springs, and again at the 2002 Spacifically in Atlanta, Patricia lectured on “The Spiritual Essence in Spa”. 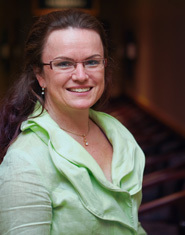 Patricia has published articles in several magazines, most notably, the Spa Management Journal. She is currently writing “Cruising in a Cadillac with Crystals”, the true story of a crystal healer. Susanne Murphy, Vice President of Colour Energy®, is excited to bring the power of crystalline energy into her teaching. After 10 years of working with Patricia Jean, Colour Energy became the proud owner of the Crystal Light Therapy® program so that Patricia could pursue a higher calling. As a CLT instructor, Colour Therapist, Biopulsar Analyst, Aura Counsellor and Medical Intuitive, Susanne has been educating others to become Colour, Chakra and Aura Therapists for over 20 years. For the past 2 years, she has been honoured to teach Crystal Light Therapy. "Learning the science of crystals and how they communicate through the colour language, brings another significant component into assisting others to reach their optimal wellness. Crystals are amplifiers of energy and when activated by love, light, sound, colour, oils and essences allows for a profound multi-dimensional healing to take place. This is called a Crystal Light Therapy." My journey began in 1996 as I stepped away from my corporate job as a Human Resource Director and into the wonderful world of massage. One day in 1999 I read an article about La Stone Therapy and the next month I was in Arizona taking my first course. As soon as I touched the stones I knew this was my path. Working with the stones has brought much inner knowledge to me and healing on all levels to my clients. Being naturally drawn towards various types of energy work I began my studies in Quantum Touch, Reiki and Qi Gong. Before I began my studies in Crystal Light Therapy, there was an inner knowing that it was already a part of me. My studies with Patricia have brought much joy and a deeper understanding of myself and my work which I get to share each and every day with many. Now being able to share my teachings of Crystal Light Therapy and Reiki with others has allowed my heart to sing with such joy. For my greatest teachings comes from my clients and my students, I am grateful for all I have learned from them. Yvonne is a certified English and Spanish practitioner. She has been associated with the spa industry since 2003. From 2003 to 2007 Yvonne served as operations manager ofr the Ixchel Spa at El Dorado Beach Club as well as Los Cabos Querencia. 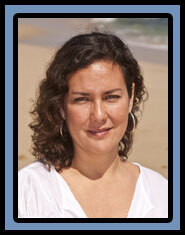 In 2008 she became the spa manager of the Hilton Los Cabos, Spa Oasis. She is current in all the major spa treatment techniques and trains massage therapists. 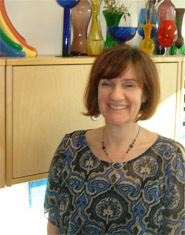 Yvonne currently teaches Crystal Light Therapy technique in Barcelona, Spain. "I would like to teach Crystal Light Therapy to others because I feel it is a safe way to work with the energy body and crystals to help keep ourselves clear, vibrant and healthy. I want this work to be passed onto others and not be lost." 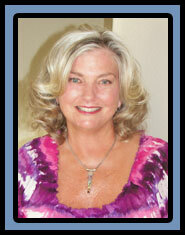 Valerie has 18 years of massage therapy and spa training experience. Her other areas of teaching include Shiatsu, Acupressure (for neck & shoulders) and various massage techniques & philosophies. Most recently, Valerie has been specializing in teaching the CLT program: The Human Energy Field and the Basics of Crystal Light Therapy. Valerie had assisted Patricia Huff in CLT classes both in England and Oregon. Valerie believes in evolving to a higher vibration. "Working with Crystals have helped me and I use them on myself intuitively, when needed. I love to work with individuals using Crystal Light Therapy." Francesca Russo is a passionate, explorer, traversing the journey of life. Francesca has spent the last 12 years searching for health, love and happiness. Francesca’s quest and life’s lessons have taken her deep within her soul. A healthy body, a mind with loving thoughts, and an open heart, filled with forgiveness, compassion and love begin when we have forgiveness and love for ourselves. Francesca is a spiritual teacher, yoga & massage therapist and Crystal Light Therapy practitioner and instructor with people & animals. "The profound healing I have experienced since 2010 during Crystal Light Therapy sessions as a student, practitioner and teacher have catapulted me into living my life’s true purpose: helping others awaken to their true selves. Crystal Light Therapy, take the journey, you wont regret it!" 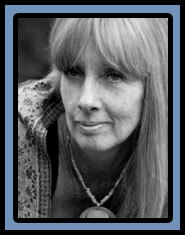 Drawn by Spirit and guided by Angels, Caroline has experienced and studied many various healing arts & sciences and energy techniques over the years. 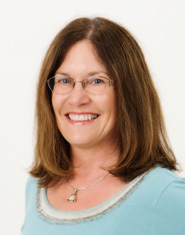 She is certified in Crystal Light Therapy, Level I & II, Chromalive Therapy, Reconnection Healing and is a Guide of Sacred Gifts. Her mission in life is to “inspire aliveness” in others and encourage them to live authentically in their own uniqueness and sacred gifts. Caroline combines her own love of angels, music, colour, crystals and healing energy work with her Sacred Gifts of Knowledge, Music, Encouragement & Teaching; it was a natural fit for her to not only welcome & use these in her personal life, but to also assist in the sharing of this knowledge wherever she goes. "It is my calling – I just get to show up and allow Spirit to flow through my voice, hands and heart – I’m here to serve. I consider it an honor and privilege to be an instrument in the Hands of God, to be able to bring peace and healing to the planet, and Love, Light & Angel Blessings to people everywhere."